Why do so many people stop roasting pumpkin seeds after Halloween? I have no idea. 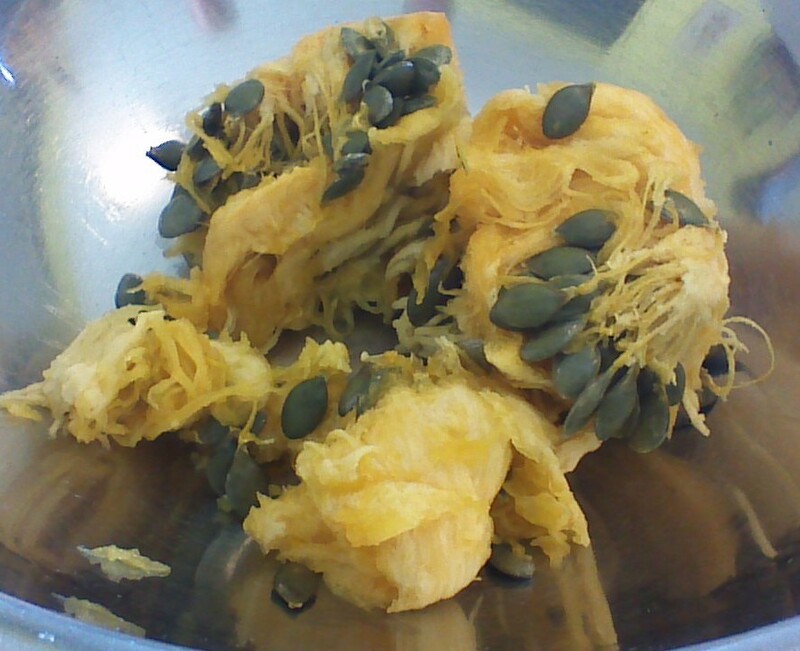 Seeds make a delicious and filling snack throughout the winter! Even better, they’re an excellent source of zinc, vitamin E, and fiber. 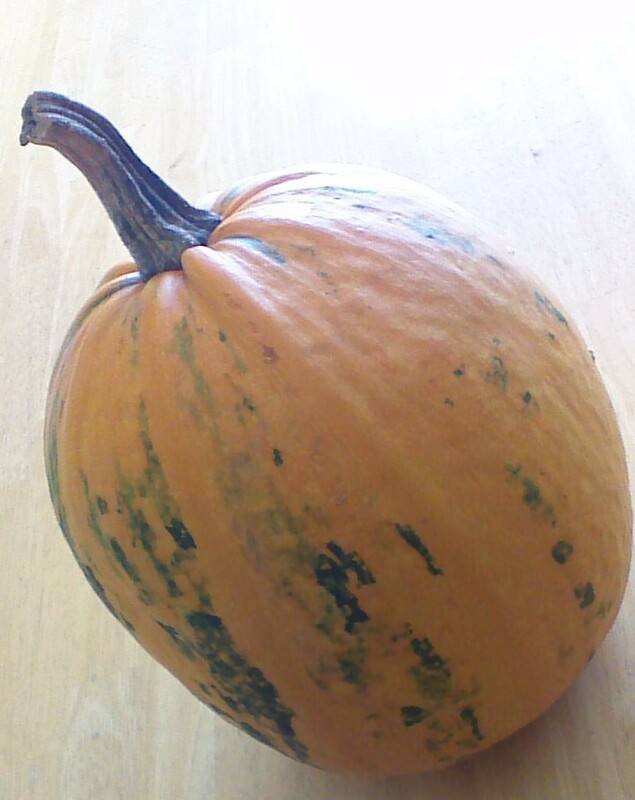 In order to preserve their nutritional punch, pumpkin seeds or “pepitas” must be cooked quickly. The easiest way to accomplish this is with dry roasting in a saute pan. A saute pan? I suppose that’s cheating a bit, but since it saves time, let’s go for it! Step 1) Scoop insides out of pumpkin, saving the pumpkin flesh for other uses! 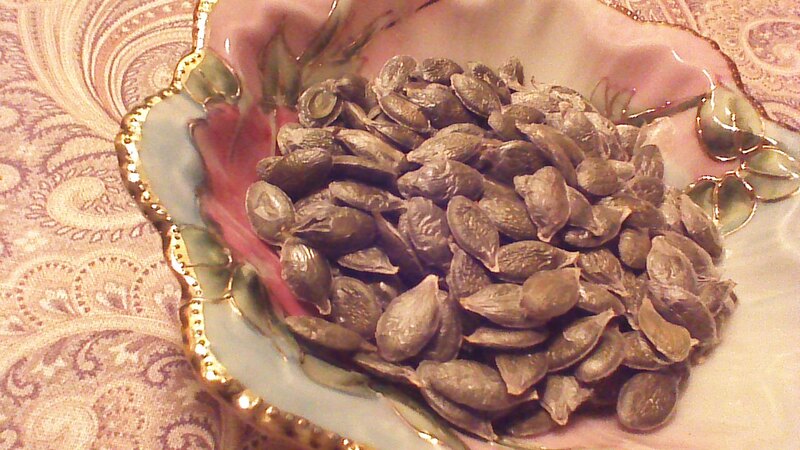 Step 2) Separate pumpkin seeds (pepitas) and wash them thoroughly. Pat dry with a clean towel. 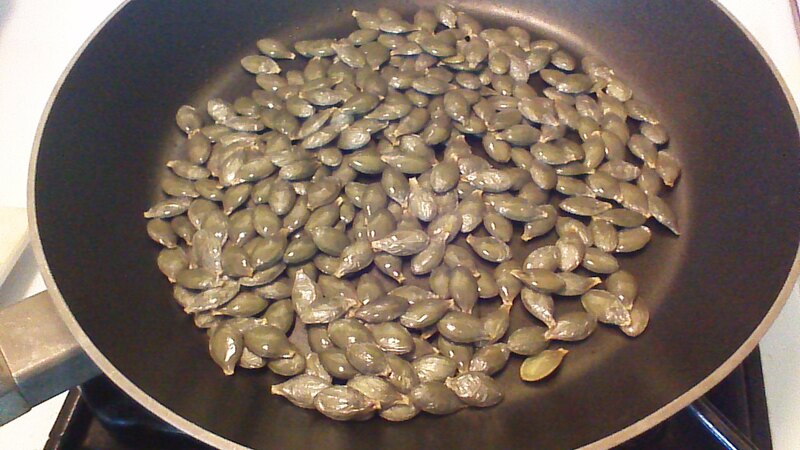 Step 3) Place pumpkin seeds in a nonstick saute pan and saute over medium heat, stirring constantly. Continue heating and stirring for approximately 5 minutes, until a few seeds begin to turn a golden color and the air is fragrant with the aroma of roasted seeds. Step 4) Sprinkle pumpkin seeds with salt and sugar. Saute for a few seconds longer, then remove pan from heat. Allow pumpkin seeds to cool in the pan. Enjoy when cool. Dry Roasted Pepitas freeze well in an airtight container. To enjoy at a later date, allow the seeds to thaw at room temperature. Then, warm in a saute pan before serving. This entry was posted in Lunchbox Treats, Vegan and tagged baking, children, Cooking, Family, Food, frugal, gluten-free, Homesteading, Paleo, Recipes, Snacks, Vegan. Bookmark the permalink.